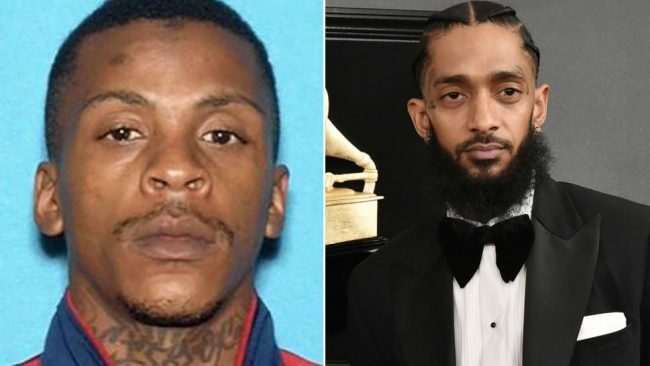 According to CBS News, Los Angeles, Eric Holder, the suspect in the March 31, 2019 murder of Nipsey Hussle has been captured in Bellflower. The Sheriff’s Department of Los Angeles County told CBS2 that Eric Holder, 29 years old, was caught at 1:30 pm PT on April 2, 2019, by deputies. Hussle, 33 years old was killed on March 31 near his store, and two other men were left injured. Chief Michel Moore of the LAPD said Holder, who belongs to a gang, walked up to Hussle and spoke to him and the others he was with. Holder left and returned carrying a handgun. Moore said on purpose he repeatedly fired at Hussle, killing him. One man who was injured was transported to the hospital for medical treatment, and the other refused to be taken to the hospital and was treated by paramedics at the scene. After the shooting, Holder fled the scene in a Chevrolet Cruz, 2016, which was driven by a woman who has yet to be identified. Police started an investigation for Holder and the woman who was the getaway driver. Moore said Holder had an argument with Hussle but did not give any details. He continued by saying that witnesses told them about the disputes, and it appeared to be a personal matter. He added he would not give any further information.